The Quebec government has just spent $1.6 million to replace the word "Amerindian" and modify other Indigenous content in history textbooks that had been introduced only two years earlier. Amid controversy over the price tag, First Nations leaders say the changes were an essential gesture of respect. "Indian has been a term being used for decades, if not centuries, and we have to look around us and understand that the world is evolving, and so are the references made to our peoples," Ghislain Picard, chief of the Assembly of First Nations Quebec-Labrador, said in an interview. He said "Autochtones" in French or "Indigenous Peoples" in English are the accepted terms today. "Any notion that we would be 'Indians of the Americas' — which is what Amerindian tends to imply — is totally false and needs to be corrected." The province authorized the contentious 2016 print run before the province's curriculum had been formally approved and is now stuck with the bill for reprinting the textbooks in French and English. The books were for a Quebec history course introduced in 2016 for students in Grades 9 and 10. That course, drafted under the previous Parti Quebecois government, already had detractors. They said it reflects a rigid nationalist ideology and diminishes the role of non-francophones in Quebec history. Education Department spokesman Bryan St-Louis said in an email that in addition to the references to Amerindians or Native Americans being replaced with terms such as "First Nations," "Inuit" and "Indigenous," other Indigenous history content was modified. For example, images depicting Indigenous people in a stereotypical way were changed, biographies of Indigenous historical figures were added and more attention was paid to the Indigenous role in key historical events. St-Louis was unable to say how many books had to be destroyed and reprinted. 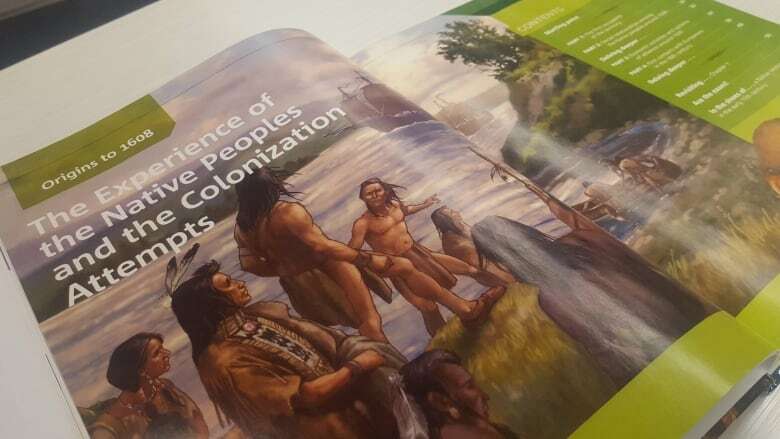 The First Nations Education Council, which took part in the Education Department's history course consultations, has defended the textbook changes against criticism that the expense was excessive. "In this case, the review allows for much more than a debate on semantics; it also allows for a much-needed rectification of proper history instruction," the council said in a statement. "We believe that mutual understanding and establishing the facts are paramount in a context of reconciliation." Picard said terminology issues should not be taken lightly, noting the francophone majority would not accept being described by the outdated term "French-Canadian" in official materials. He acknowledged that language is constantly evolving, even within Indigenous societies. He gave the example of the word "band," which is increasingly being replaced by "First Nation" to describe the governance system. "Many communities still use that term [band], which is really related to the Indian Act itself which has been criticized left and right," Picard said. "But I think we're just coming up with common terms that would be acceptable to all." History teacher Robert Green called the revisions a good first step, noting the Truth and Reconciliation Commission gave clear guidelines to the provinces for what should be reflected in the high school courses. Green, who teaches at Westmount High School and heads a committee seeking changes to the history curriculum, said other minority groups, including English-speaking Quebecers, still receive short shrift. "The current curriculum doesn't reflect the values of an inclusive, democratic society," Green said. "It sends a message that if you are not a member of the francophone majority, you're a second-class citizen whose history doesn't count or doesn't matter."